You know, I was thinking about writing this after Pavol Demitra let Dave Bollan steal the puck at the Hawk blue line and skate for yet another short hand goal against Vancouver in this series. I just knew at that point the series was won by Chicago. It was depressing to watch Demitra smash his stick all over the place on the ice, because I felt a bit bad for this man. He had such a good Olympics and then barely misses tying the game for his country against Luongo, then he loses against Salo’s really bad Finnish team in the bronze medal game. Now he is basically the reason why the Canucks lose again against the Blackhawks. It’s a very sad ending to a very underwhelming experience here in Vancouver. I wonder how Gillis feels about this signing. Anyway, the Canucks have a lot of things to fix in this off-season, especially since they are no longer the last Canadian team left in the playoffs. That distinction belongs, unfortunately, to the Montreal Canadiens. ( In case you’re wondering, I grew up in Quebec city, so I’m not much of a Canadiens fan. Actually I kind of hate them!). 10. The goalie can’t be the captain of the team. 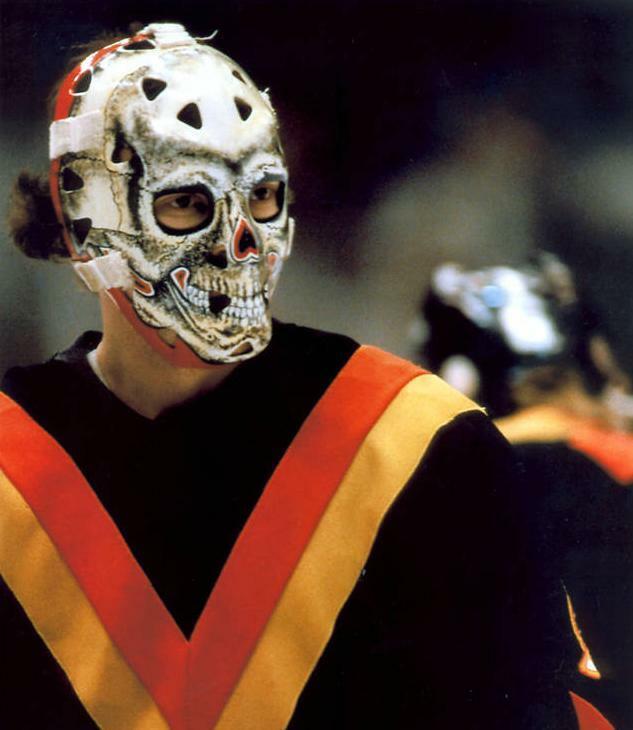 There is a reason why this hasn’t been done in many years in the NHL. Teams don’t like being criticized by the goalie. Just stop the puck and focus on your game! 9. There are lots of free agents on this team. How much do you pay your Restricted Free Agents: Mason Raymond, Jannik Hansen, Kyle Wellwood, Shane O’Brien and Aaron Rome? Plus these guys aren’t very big bodies, so do you keep them at all? 8. I feel very bad for Willie Mitchell, but what can you do? He makes 3.5 million dollars and is an Unrestricted Free Agent. His concussion problem is going to be a big factor in whether or not he ever plays again. He is really good, but if I remember correctly The Canucks didn’t win against the Hawks with him in the lineup last year. 7. Is there something wrong with Luongo? The team will owe him money for the next 13 years with a no-trade clause. I don’t know about this guy right now. See point 10. 6. Is the answer in free agency or in rebuilding? Top free agents this year like Nick Lidstrom, Rob Blake or Scott Niedermayer could help, but they are going to be really expensive and really old. They need SIZE on the blueline, more than skill. They have given up too much size back there over the years. 5. What kind of style is next for this team? They tried grinding defensive style, and that didn’t work. This year they tried speed and skill and they still lost. Do they need to try a different approach? Is it about copying the Stanley Cup winner, or developing something you believe in? 4. It’s time to see the warning signs sooner. Everyone saw the problems with this team after the first month of the season, but we kept hearing “everything’s fine… it’s early…. it’s about the playoffs…. etc.” Now that the results are the same, I think the fans have the right to second guess the decision makers a little more. 3. Why haven’t too many teams wanted to trade with Gillis? He hasn’t made any shrewd moves through the trades, but he made some ok decisions with the free agents. Is it still an old boys club that doesn’t want to let Gillis in? Seems strange that he doesn’t make any trades to me. 2. I love this kid, but I don’t think Burrows is a natural 35 goal scorer. I think there is trouble with Burrows being our number one scorer on this team. Either we need to get a true dangler, or a more structured second line that makes life tough for other teams by banging and crashing. Lots of holes to fill here, now that I think about it. 1. Who is going to backup Luongo next year? Can’t we bring Schneider in and have him play 25 games while resting our “superstar”? I think we should. It’s time for the kid to come up and play, and maybe push our number one a little more. Besides, he’s up for a contract next year, and I don’t think he wants a 2-way anymore. I wouldn’t.